Amazon India has decided to allure its customers with mega sales every now and then. 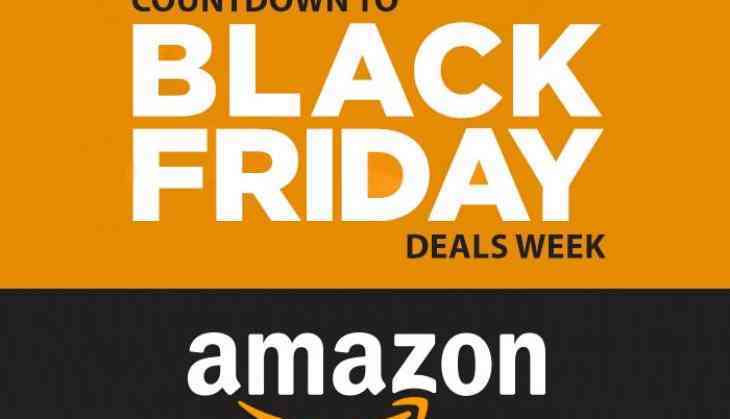 Now the e-commerce giant has come up with special sales 'Amazon Black Friday Sale' and 'cyber Monday Sale'. Amazon for its customers has announced a large number of deals and discounts on products from international brands. Black Friday, the day after Thanksgiving, also marks a major holiday sale for people in the US. Similarly, Cyber Monday is a marketing term coined for the Monday after the Thanksgiving holiday in the country. Amazon India has availed the festive opportunity to impress the Indian shoppers. The Amazon India Global Store will be hosting the Black Friday and Cyber Monday sale starting today (Friday). During the Amazon India Black Friday and Cyber Monday sale, interested buyers will be able to purchase products from international brands via the Amazon Global Store. Amazon is promising up to 40 percent off on products across various categories. Though these products will be available with discounts and include import duties, you may be charged extra for shipping. A massive number of discounts across Amazon's departments are already available and new ones will be added through the week. It is worth noting that the Black Friday sale on Amazon India's Global Store will go live later in the day.